A first impression can be made with one glance…especially when it is a glance at a romantic get-away destination like a Bed and Breakfast Inn. A couple may have certain expectations for such an intimate setting, taking their first impressions from a drive-by or a picture of a well-adorned exterior. In both cases, curb appeal is a must-have quality. 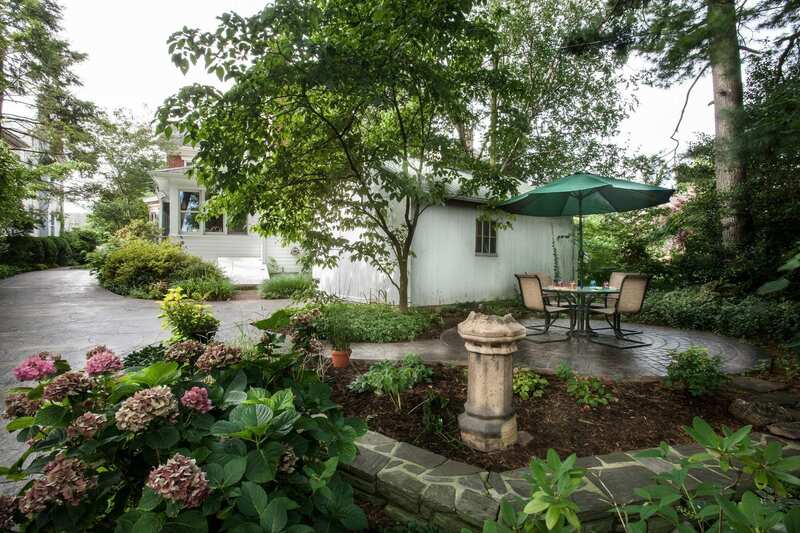 In need of a new driveway and patio area, the owners of this Bed and Breakfast Inn located in Stratsburg, Pennsylvania opted for the added curb appeal of stamped concrete. 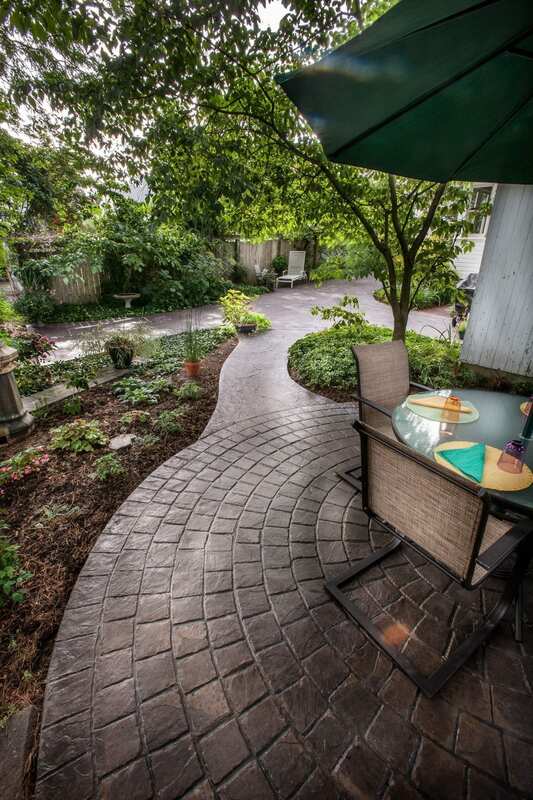 Stamped concrete provides differing patterns, dynamic colors, and various textures to define spaces and add character to a typical concrete pour. The team from Paradise Masonry, out of Paradise, Pennsylvania, achieved this stamped concrete project with two pours and over a four day period. SureCrete Design Products Integral Color in wood-chip was added to the wet concrete mix to provide a uniform color throughout. The driveway was stamped with a 14”stone textured stamp and the Paradise team chose SureCrete’s Powder Release in charcoal to accent the texture and give an easy release for the stamp. A cobblestone pattern was stamped into the patio – it defines the space and emphasizes the circular area. The entire 1,100 square foot stamped concrete project was sealed with HS-240 Premium Low VOC Clear Concrete Sealer. This sealer is great for outdoor use, boasting excellent adhesion, UV protection, waterproofing, and durability.